Apart from the essential Bar Academy Absolvent which provides strong mixology fundamentals, JBPR runs also Bar Academy Elite, led by world-class bartenders. Bar Academy Premium that already saw success in the past is now coming back in a new and updated style. Regarded as an advanced class, Bar Academy Premium was considered a natural continuation of Bar Academy Absolvent. The students used premium products and were able to learn bar management and marketing in great detail. One of the case studies involved dealing with a new bar opening. The times have changed though. Premium products are now part of Bar Academy Absolvent and Bar Academy Premium needed a refresh as well. Every Premium session now focuses on a single topic and explores it to the fullest. 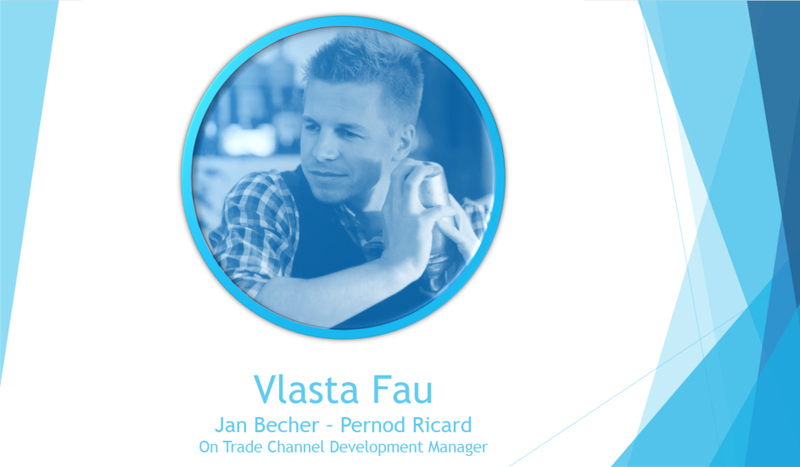 „We chose the digital world to begin with because solid social media communication is now essential for any business‘ marketing,“ says Vlastimil Fau, Manager of On-trade Development, that represents Bar Academy in JBPR. Bar Academy Premium will cover the digital world theme twice this year, and more courses will follow in the next year. The new BA Premium now consists of three in-depth presentations that happen over five hours in the afternoon. Vlastimil Fau kicks the course off with a business marketing class that encourages audience interaction. 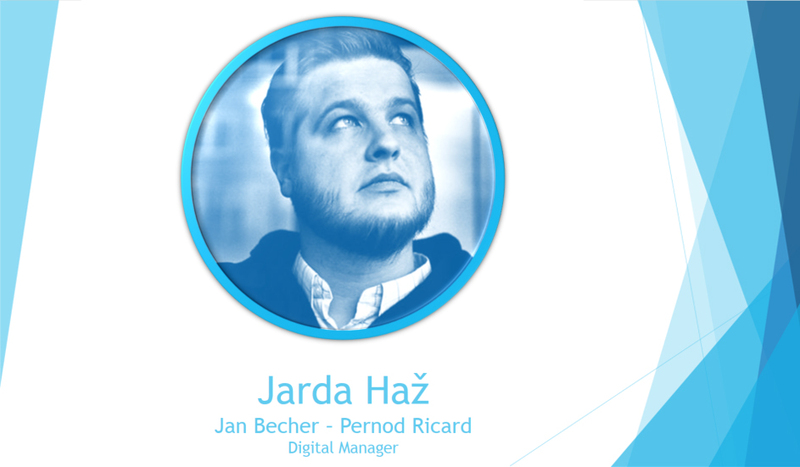 Digital Manager of JBPR Jaroslav Haž follows with a presentation regarding the local online environment, social media recommendations for various target groups and particular examples of use. The owner of Fragile media agency, Daniel Kafka, gives the final lesson about Facebook and Instagram detailed specifics. The future course members can look forward to a trend review, latest tools for online marketing and practical case studies, that reveal how to target, time, plan and analyze the social media communication campaigns. The course capacity is limited to just 20 participants. The Bar Academy Premium‘s focus on the digital world is meant for everyone that is involved in the business‘ communication, such as bartenders, managers, and other crew members. „We will prioritize participants from our partner businesses. The price for any external participants is set at 2000 CZK,“ mentions Vlastimil Fau. 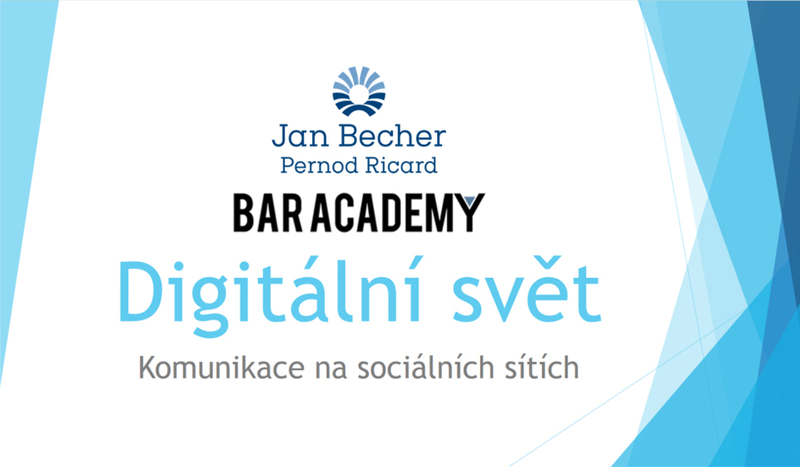 Further information about the Digital world block will be provided at Jan Becher Pernod Ricard – Bar Academy Facebook page.